GENDER - Is it something you are born with, or is it a social construct, a set of behaviour and attitudes, imposed on, and expected from individuals simply because of the genitalia they were born with? 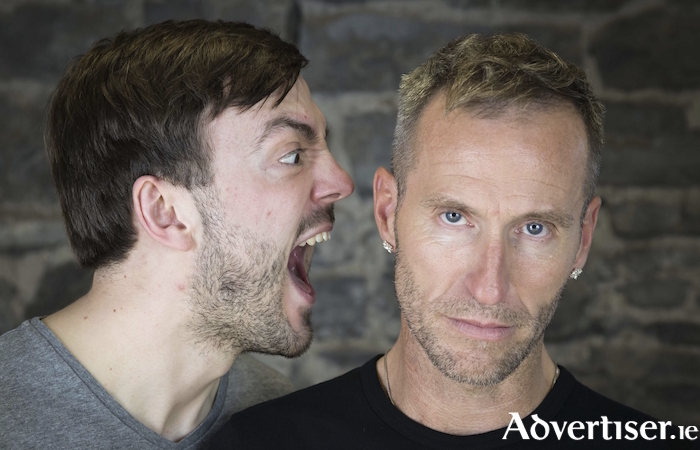 This very contemporary debate will be explored in Good Dog Theatre's Men At Play, which returns to Galway following its successful run at the Galway Fringe Festival in July, where it won Best Theatre Production at the Fringe awards. The play, written by Brian Burns and starring Kieran McBride and Ruairí Lenaghan, is in the Nuns' Island Theatre on Friday November 2 and Saturday 3. Brothers Fergus and Fionn - a gay man with an alter ego and a straight man with issues - are forced into performing male identities by their father, who exudes toxic masculinity and berates his sons for not conforming to his idea of what a man should be. Here are two men struggling with identity, assigned gender roles and expectations; and two actors struggling to put on a play. Via song, movement, dance, and depictions of real-life dramas, both hilarious and harrowing, Men At Play explores the performativity of male identity, through performance.